After Xiaomi, now OnePlus faces an import ban in India. The Indian court decided that the OnePlus One can no longer be imported in the country due to an exclusivity deal between Micromax and the the makers of CyanogenMod. A few days ago, Xiaomi was banned from selling its devices in India, and now yet another Chinese manufacturer faces the same fate. Although Xiaomi had problems with the hardware, it's the software that's causing problems for OnePlus. The High Court of Delhi has enacted an import ban on the OnePlus One, as Micromax is the exclusive local partner for CyanongenMod. The deal between Micromax and Cyanogen was signed back in January, but was only made public by Micromax a few weeks ago. 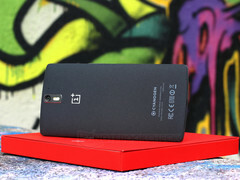 The OnePlus One launched in India preinstalled with the custom mod, as well as the CyanogenMod logo on the back. OnePlus will be allowed to sell the devices that Amazon, the exclusive local retailer, already imported, but the manufacturer has been ordered to remove all traces of CyanogenMod from the device before the sales ban is lifted. Recently, Xiaomi obtained a temporary permission from the Indian court to sell smartphones in the country as long as they are based on Qualcomm chips. OnePlus can also quickly adapt to meet the challenges it faces in the aggressive Indian smartphone market. The Chinese version of the OnePlus One runs ColorOS out of the box, so that's one possible alternative for OnePlus. The manufacturer has yet to comment on the matter.